If you're a customer of one of the big four mobile carriers and live in New York City, you could soon see a public safety announcement from President Obama pop up on your mobile phone. PLAN is a free service that will allow customers with an enabled mobile device to receive geographically-targeted, text-like messages alerting them of imminent threats to safety in their area. This service will be available in New York City by the end of 2011, at least two calendar quarters before the rest of the nation. PLAN ensures that emergency alerts will not get stalled by user congestion, which can happen with standard mobile voice and texting services. Authorized government officials can send messages, which participating wireless providers then push using their cell towers to enabled mobile devices in a targeted geographic area. Think of it as an emergency alert system for the mobile age. In addition to alerts from the president of the United States, the system is set up to broadcast 90-character or fewer messages on imminent security threats and Amber Alerts, all tied to the spot on your planet where you happen to find yourself. The service is being rolled out in Washington DC, too. They effort is all part of the Warning, Alert and Response Network (WARN) Act passed by Congress in 2006. Inside government, the project is called the Commercial Mobile Alert System. If you're a customer of one of the provider who has opted to participate, you can still opt-out of the imminent threat warnings or Amber Alerts. But there's no getting out of notes from president. 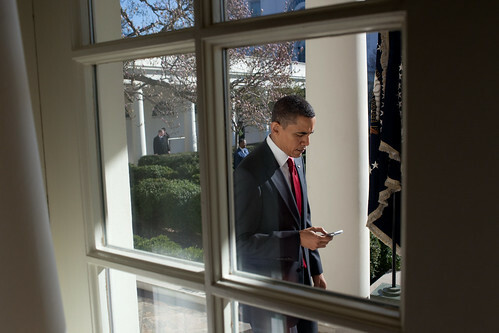 If your commander in chief wants word in an emergency via your mobile phone, he (or she) will. "Even if you opt out," reports the FCC, "you will still receive Presidential Alerts containing information about the most serious threats."